A polyfill or polyfiller is code designed to provide technology that is not native to a web browser. For example, earlier versions of Internet Explorer do not support all the features of HTML5 which may necessitate the use of polyfills to display features of HTML5 which are not supported by the web browser. How Do We Check A Feature Is In A Browser? 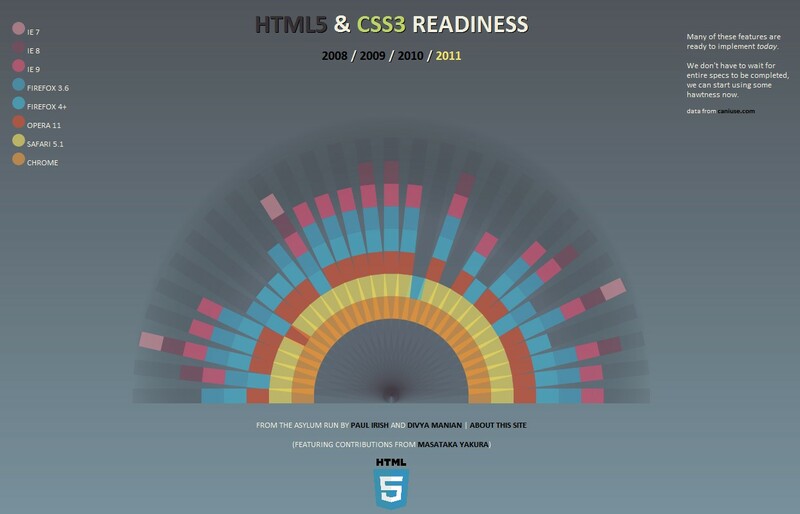 Check out http://html5readiness.com/ to view the readiness of a browser to a specific HTML5 feature. But How Do We Check It In Code? Where Do We Get These Polyfills? The "polyfill" or "regressive enhancement" technique just means that you go ahead and use HTML5 features then use other libraries to emulate native behavior in older browsers. So instead of worrying about support in some browsers, use these polyfills to enhance the browsers to provide the user with proper experience to your web sites and applications.